Growing businesses improve performance and increase value with on-demand financial guidance. A part-time CFO provides affordable financial leadership and expertise to support executives leading growing businesses. Faced with day-to-day demands of all that needs to get done, executives are challenged to find time to think long-term, address their strategic plans and work on high-value initiatives. The work that should be performed by a CFO simply does not get done, and outcomes can include accumulating costs of unresolved challenges and vanishing opportunities. Acting in the role of a part-time CFO, our partners bring proven financial leadership and expertise gained as former enterprise chief financial officers. In addition to leading the financial team, we work closely with executive management to resolve pressing challenges to realize targeted outcome value. A part-time CFO brings the full set of chief financial officer skills, but does so on a part-time basis. Executives working with us have the flexibility to schedule needed CFO services for as many days a week or month required. A part-time chief financial officer is a sound choice when a company does not yet require the services of a full-time chief financial officer. Additionally, typical total compensation packages for full-time CFOs in the Greater Los Angeles area are the second highest in the nation, behind only San Francisco and ahead of New York. So when growing businesses may not yet want to budget for the salary and fully-loaded overhead of a first full-time CFO, a part-time CFO is an attractive and cost-effective option. A part-time CFO can act over months and even years to function as the company’s CFO instead of the company hiring a full-time CFO. The arrangement ends when growth calls for a first full-time CFO, and a part-time CFO can help recruit and train the hire. Core general ledger numbers and statements are workable, but they need to be more accurate and meet GAAP standards for opportunities like a fundraising presentation or a potential acquisition. Current reporting has a historical perspective and does not present data in ways that are actionable, and forward-planning to improve decision making. Current financial applications may not be fully integrated with operational applications or are not being used to full functional capacities. Bringing in high-caliber financial leadership will include valuable guidance on long-term growth strategies, planning and transactions. 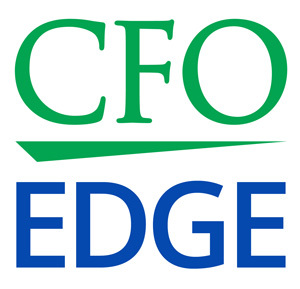 CFO expertise positively impacts costs by optimizing resources and streamlining processes. A part-time CFO brings the expertise to leverage and apply data in areas like sales and channel strategies; CAPEX funding and allocation; employee compensation; and vendor contracts. Visit our Solutions Grid to see over 60 areas in which we deliver part-time CFO expertise.